I got an Infinity Surf custom quad for my birthday in November and so far have only been able to test it in small surf. I’ve been playing around with the fin configuration since there are 5 fin boxes and this board rocks! 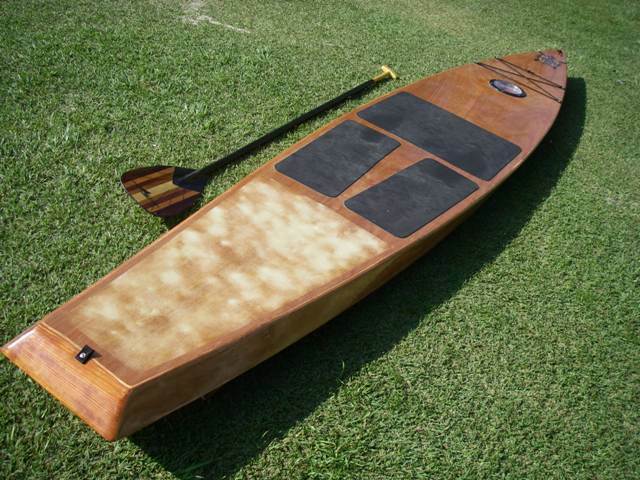 All-Wood Touring Stand Up Paddle Kit from Gray Whale Trading Co.
Larry Froley, owner of California-based Gray Whale Trading Company (GWTC), is currently developing an all-wood Touring Stand Up Paddle Kit, which will be named the “Kaholo”. The board is still in the prototype stage, and although the first protoype is a 14’ board, Larry is considering lengthening it to 16’. According to Larry, at 14′ a stand up board will obviously be a cruiser and/or racer, and the 16′ should fill that niche even better. The width is planned at 28″ regardless of the length. 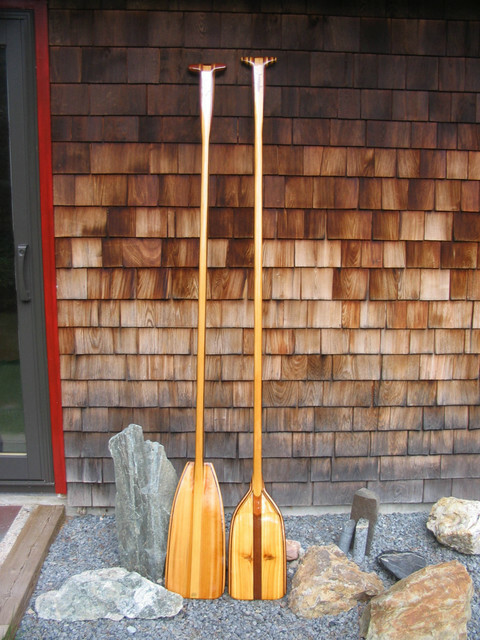 The board is likely to be offered in two volumes like Gray Whale’s paddleboards, with the standard volume being for paddlers over 190 to 200 lbs, and a lower volume for lighter paddlers. Doug Lock talks about the Brian Caldwell 10′ stand up paddle surfboard and shows us around its shape and explains its dimensions. He says that the board is good at riding four to five foot waves, and mentions the new concept on its nose shape called the bottleneck concave. The all-around shape of the board helps it perform well as a long board for nose-riding and short board for tail-riding. Interesting. This board is pretty light even though it’s hand-shaped, as you’ll see on the video. 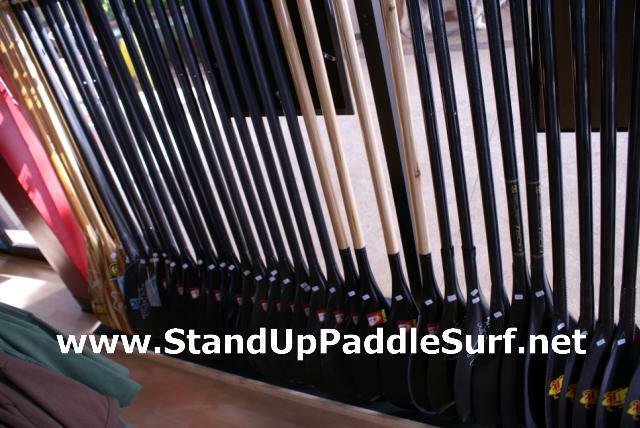 We hear from this two-part video a discussion between Jim of Tropical Blends Surf and a Pro Surfer about stand up paddles. They talk about the different aspects of the paddle — from the grip to the blade — and even the history and global influence put into the stand up paddle. I think the bottom line here is that stand up paddle surfing is still in its early stages and it’s good that people are out to try new stuff for the sake of the development of the sport. Here’s a deal from Wet Feet…deck pad, fin, leash and $50 off a paddle for only $125. This is something worth considering especially for beginners. What’s better is that the board can be customized through a wide choice of their deck pads, fins and leashes. 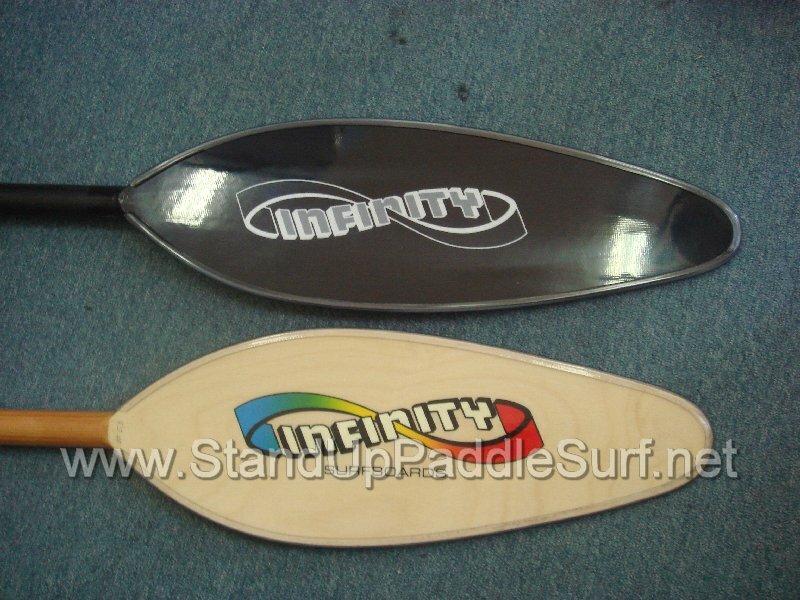 Steve Boehne talks to us about the Infinity Surf’s ottertail blade stand up paddle. Steve explains that these type of blades are easier to use than the regular square-shaped blades and does not compromise power — something that is ideal for older folks who may be experiencing chronic body aches and pains. Jeff leads us to Wet Feet’s fin center and showcases their various types of fins, fin setups, materials (fiberglass and plastic) and manufacturers. Notice the variety of fin designs for different purposes. He also mentions a butterfly type fin that is currently in production and will be out soon. When I visited Steve Boehne at Infinity Surf in Dana Point, California, I got a chance to see some interesting air vents that he installs in his custom epoxy boards. I got a short video of Steve explaining the vent to a customer, some inside info and shot some pictures up close. 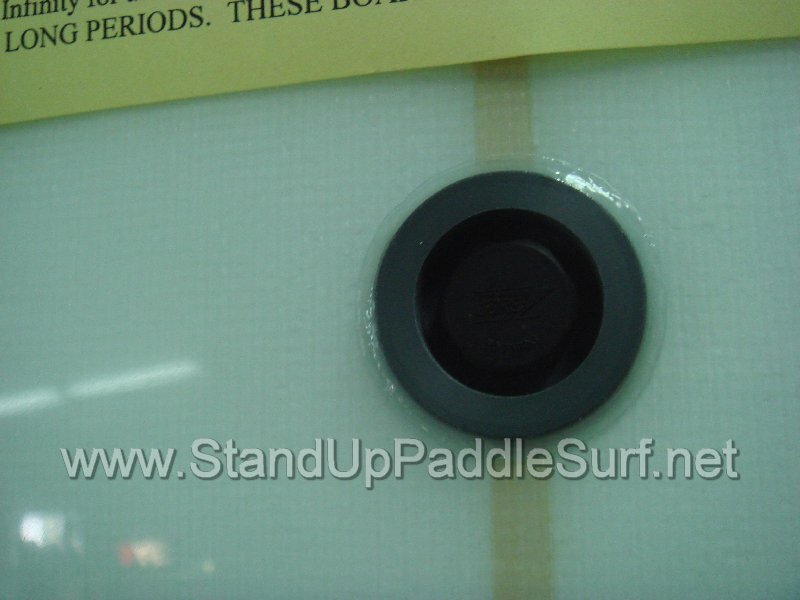 These are the actual vents he uses on the custom epoxy Ku Ku Hoe stand up paddle boards. 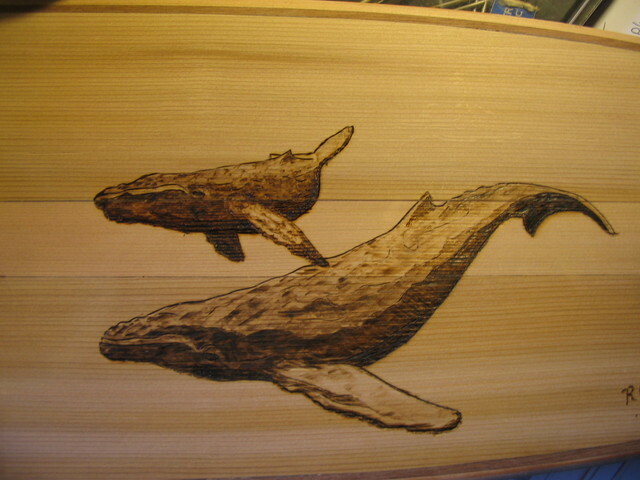 Bob of PonoHouse.com will be auctioning off a stand up paddle with pyrographic artwork for charity. The auction will be held in the next two weeks for the “Save The Children” initiative. This event is spearheaded by our friends at Lumberjocks.com. The paddle that has the artwork added on to is the one on the left. Visit Bob’s post on PonoHouse.com for more information about the paddle. All this talk about hitting your rails and chipping the paint or dings can all be put to rest after you see this video. I was at Jim’s shop, Tropical Blends and got a great video of him showing how durable his production Angulo stand up paddle board is by hitting it with a wooden stick and jumping on it up and down. Even the customer tries a jump or 2. If you have concerns about durability you need to see this video. 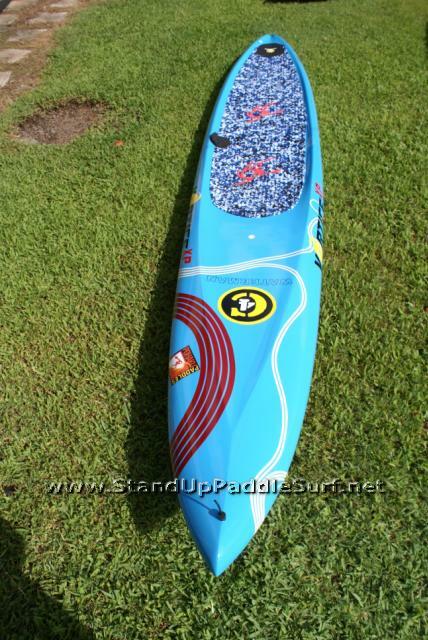 You are currently browsing the Stand Up Paddle Surfing in Hawaii - StandUpPaddleSurf.net weblog archives for the month November, 2007.